And that brings us to the Democratic operatives behind the scenes. Two weeks ago, Chicago Sun-Times reporters discovered that Obama crony pal and deep-pocketed campaign finance mega-bundler Tina Tchen had inserted herself in the investigation. 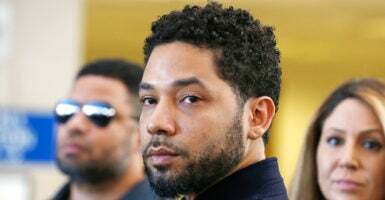 Tchen texted Cook County State’s Attorney Kim Foxx just three days after the incident “on behalf of Jussie Smollett and family who I know” to express “concerns.” She suggested that Foxx lean on Chicago Police Superintendent Eddie Johnson to yield to the FBI and she shared an unidentified Smollett’s family member’s cellphone number with Foxx. —In May 2018, Tchen and Smollett-Bell took the stage together again—hand-in-hand, glued at the hip—at the United State of Women Summit in Los Angeles (where Tchen’s former boss and gal pal, Michelle Obama, also appeared). —Smollett-Bell and another sister, Jazz Smollett-Warwell, worked for the Obama campaigns in 2008 and 2012 and volunteered as tireless surrogates. —My search of White House visitor logs shows Jurnee Smollett-Bell paying at least one personal visit to “POTUS/FLOTUS” at their residence in March 2013 while Tchen was serving as a top strategist to both Obamas. —Tchen personally shoveled more than $200,000 into the 2008 Obama presidential campaign coffers while a high-powered lawyer at white-shoe Skadden Arps. 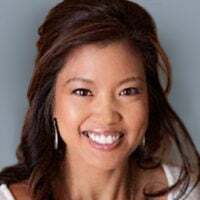 —Tchen served as special assistant to President Barack Obama, and then took over as chief of staff in the East Wing for Michelle Obama. —Tchen headed up the Obama White House Office of Public Engagement, spearheaded by longtime Chicago pal and fellow corporate lawyer/bundler Valerie Jarrett. —Tchen coordinated Hollywood celebrities to promote Obama’s domestic policy agenda through the taxpayer-subsidized National Endowment for the Arts. —Tchen was listed in 2009 White House visitor logs I reviewed as having met there with radical left-wing billionaire George Soros. —As Breitbart’s Joel Pollak noted, Soros donated a total of $408,000 to super PACs supporting Foxx’s successful primary and general campaigns for Cook County state attorney. After decades of manufacturing “hate” against peaceful, law-abiding conservatives; sharia opponents; Christian activists; and immigration enforcement hawks, the junk mail order house that grifter Morris Dees built is in chaos amid long-brewing strife over internal gender and racial discrimination—not to mention a slew of outside defamation lawsuits. Fresh off assisting one celebrity hate crime huckster, Tchen will now be doing damage control for the granddaddy of all racial hoax rackets.